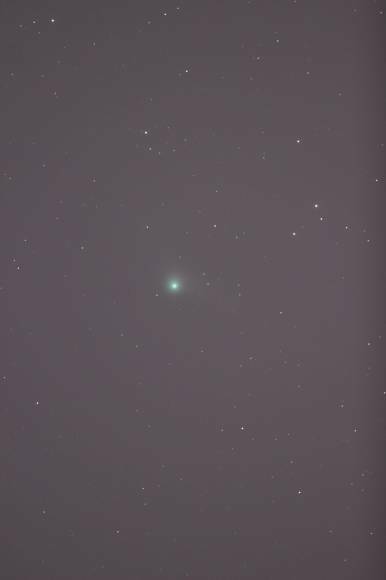 First attempt at comet C/2013 US10 Catalina, shooting through some thin cloud or haze the morning of 12 December, 2015. Single exposure, RAW from camera converted to JPG, 3 minutes @ 800 ISO, Canon T3i on 8" Newtonian Astrograph. 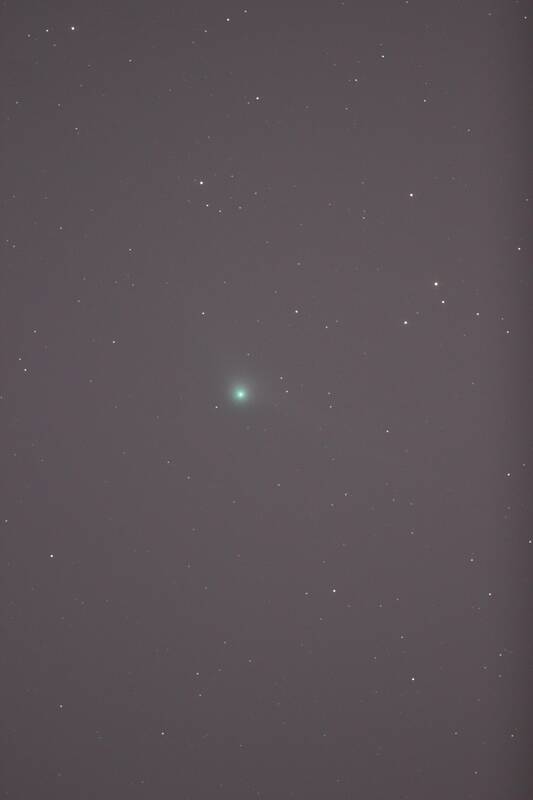 Waiting for a clear sky to do this comet justice.